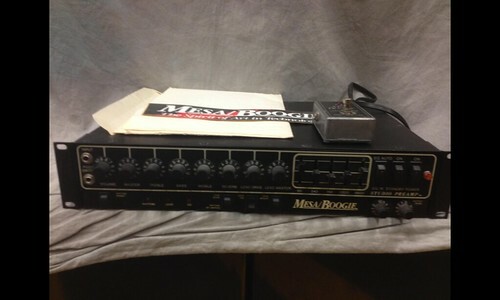 When I was amp shopping I had considered getting a Mesa 5:25 but the price was a little too high for my tastes. Then I found this for under $500. Seems like a good option. 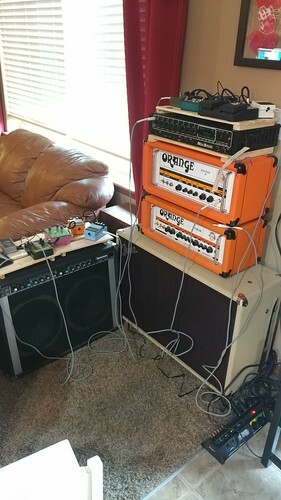 I can run it through one of my clean amps. More pics when it arrives. Looks like from the manual that I can run the preamp into a normal guitar amp input. Nice find! 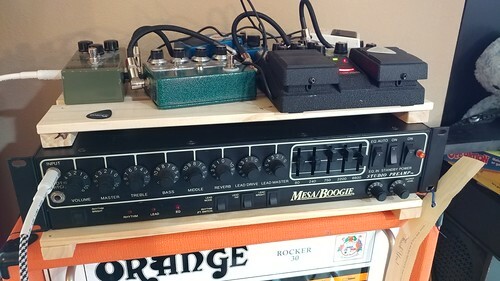 Funnily enough, I use my Boogie F50 as a preamp for my Matamp mini because the Boogie adds a brighter top end to the sound (I use the amp input and the FX loop send jack). Oh hells yes. Running this into a ~warm~ power amp would counter the traditional Mesa cool-bias bias, and would let you not have to lug around a giant heavy Mesa. Nice. So seriously though, anyone know how running a preamp in to a preamp input works? Does it bypass the slave amps controls completely? 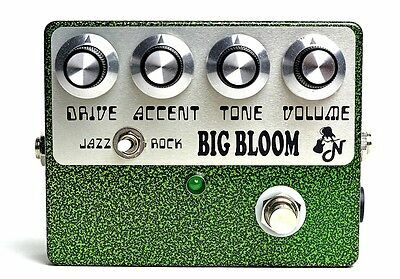 (Like tone, volume, reverb, etc.) Never done it. Going to use a Peavey Renown 212 as the slave since it has a preamp input on the back. Just not sure if the controls in the front will be bypassed in that mode. Should bypass everything except possibly master volume. In my experience, plugging into the return on FX loops (pretty much the same thing?) 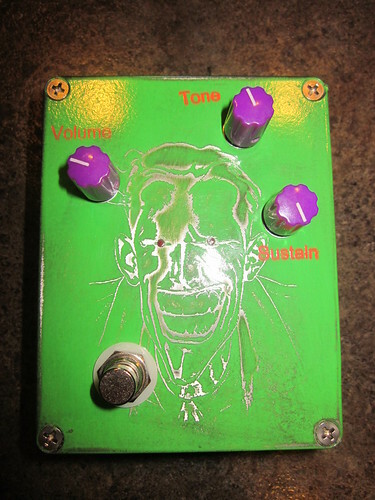 bypassed all knobs as the master volume was generally just the last preamp stage, but I guess it depends on the amp. 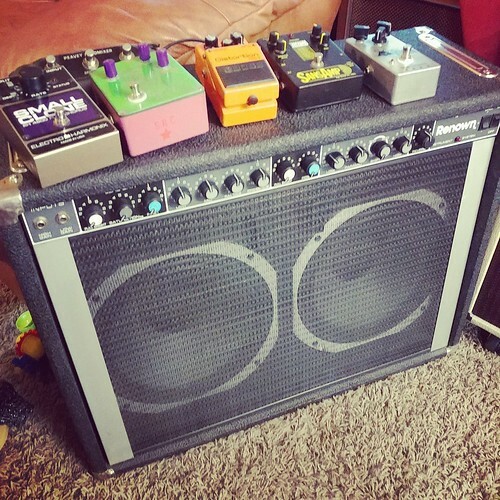 I used to have an old Peavey Bandit with preamp out/power amp in jacks on the back. That's probably what you've got. Plugging into only the power amp in disabled the amp's on board preamp. 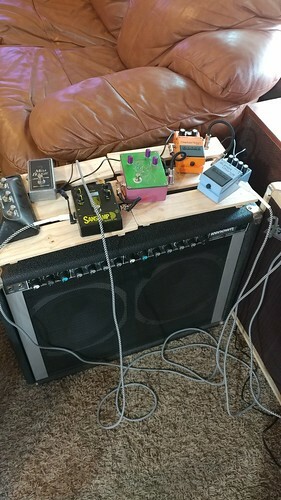 You could use the preamp out and power amp in together like an effects loop to plug a new device into the signal chain in series with the on board preamp. Cool. I will set all volumes to 0 to be safe and go from there. I will also set tones to noon and fiddle with them to see if there is any change. 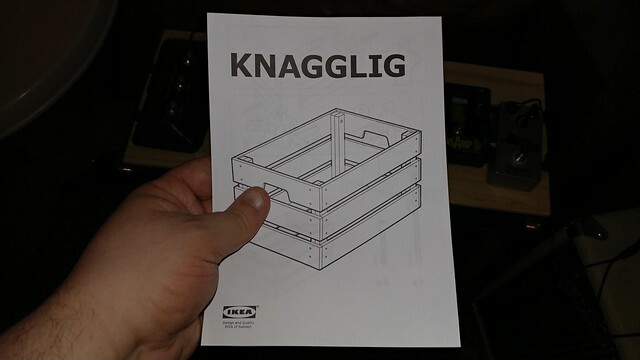 Got this crate kit because I wanted to use it for smaller pedalboards. Works great! They won't send it out to be looked at until Monday so I will be waiting to hear from them. Been a busy evening. That is by design. I don't know when they stopped doing it that way; the earlier Marks were also like that. Sorry to hear you're having such a rough time with that thing. Thanks. I will just have to wait and see what they tell me. Worst case I will just have to return it for a refund and buy a different one. 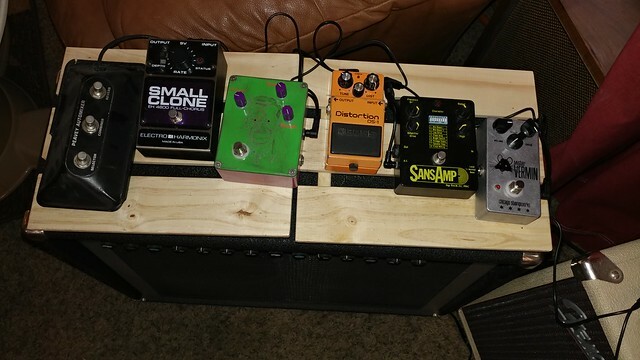 What's the green sand blasted looking pedal in the middle? Sorry, I meant the top picture.